Many times, when we upgrade our iPhone, we trade in our current one to Apple or our cell phone provider. But what if you receive a new iPhone as gift? Now you have your old and new one. Other times, we simply buy a new product to upgrade like the newest Apple Watch, iPad, or Mac. Again, now you have the old and new device. 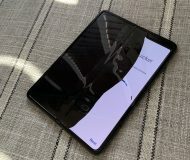 Do you want to try and sell your older device? How much should you ask for it? What is it worth? Apple has a convenient way for you to get estimated value of your device. Plus, Apple gives you options for what to do with your old devices. 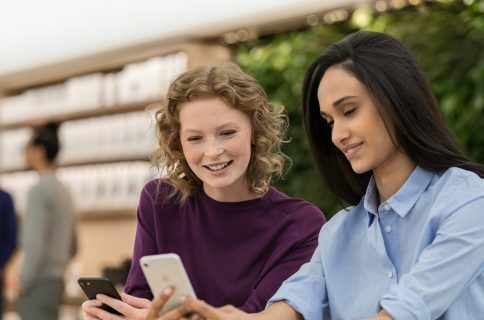 Here’s how to find the estimated value of your devices with Apple GiveBack. 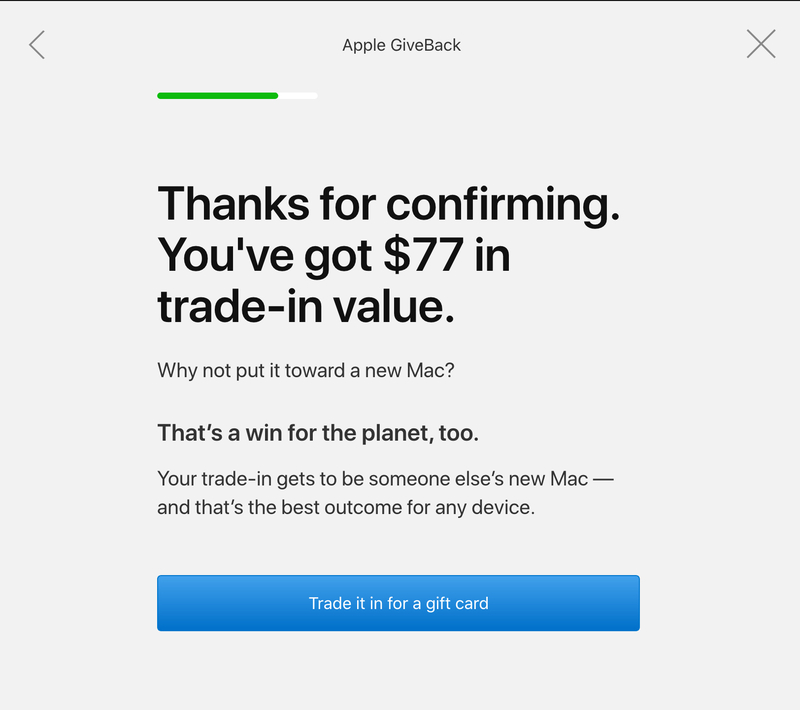 Basically, the Apple GiveBack program lets you find the value of your device, trade it in, send it in for an Apple Store Gift Card, or simply recycle it. Open up your browser and head to the Apple GiveBack website to get the estimated value of your device. 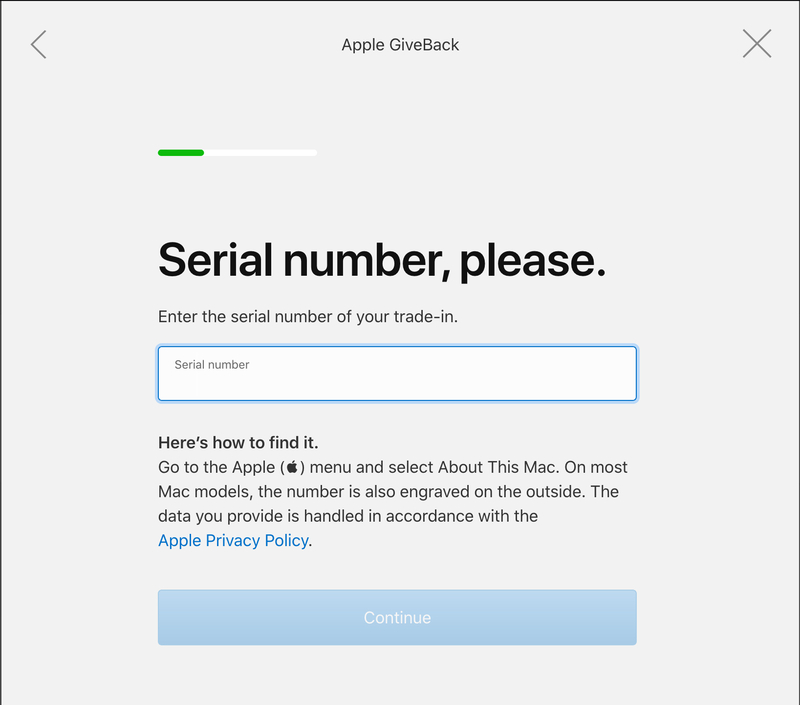 2) Regardless of the Apple device, be prepared to start by entering the serial number. So, you’ll need to track that down. One way is to use another of your Apple devices to find those details and this tutorial walks you through how to do that. 3) You’ll then be asked to answer some questions about your device. Obviously, the questions will depend on the device you have. For example, if you’re getting an estimate on an iMac, you’ll be asked for the year, the model, the physical condition, if you’ll include the power adapter, and similar questions. 4) Just move through the questions which consist of multiple choice and yes or no. When you finish, you’ll see the estimated value of your device with an option to trade it in for an Apple Store Gift Card, if you like. 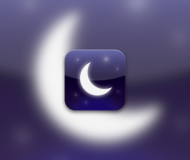 There are sites like Gazelle where you can get estimates and sell your electronics as well. I checked this out by comparing the value from Gazelle versus Apple GiveBack for my iMac. Apple is offering me $77 (above) while Gazelle is offering $68 (below). Not a huge difference, but still a difference. 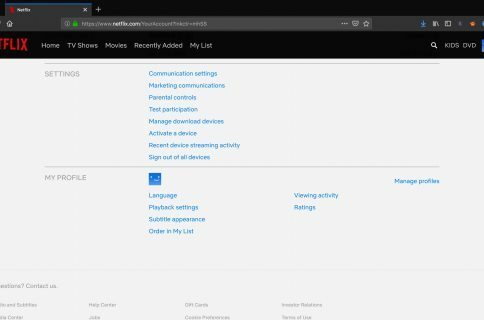 You might know of other sites that will offer you even more for your device. Either way, the Apple GiveBack site is a great place to start. Once you get the value of your device what are you going to do with it? 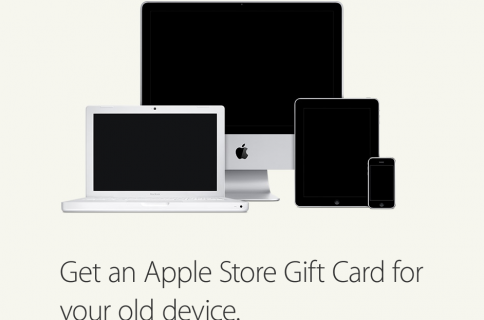 Will you trade it in towards another Apple device, opt for the gift card, or continue searching for better offers? Let us know!